"American Idiot" is an electric blue of snarling fun. Featuring the music of Green Day and lyrics of its lead singer Billy Joe Armstrong makes this show a must see. The cast is bombarded by T.V. broadcasts of bad news from their post 9-11 world from which they scream out their frustration in the title song. This bold new musical tells the story of three life-long friends -- Johnny (Alex Nee), Tunny (Thomas Hettrick) and Will (Casey O'Farrell) -- who are forced to choose between their city dreams and the safety of suburbia. Strong language and gestures color the action when needed, particularly effective in "I Don't Care," simulating choreographed fight scenes. Craving fun, the trio plan to move to the big city. It's a bust when Will's girlfriend turns up pregnant. Johnny turns to drugs and his alter-ego St. Jimmy to search for meaning. The spark ignites with durable songs "Holiday" and "Boulevard of Broken Dreams" which weave emotion and develop the story with hologram images of New York City projected over the set. The love scene "Give Me Novocaine" is splintered by wild dance in "Last of the American Girls/She's A Rebel." "Extraordinary Girl" find Jenna Rubaii descending from the ceiling on wires, singing like an angel. In another scene, hooded sweat-shirted dancers punk out "Do You Know Your Enemy?" "21 Guns" involves the entire company in disjointed harmony. "Wake Me When September Comes," with Johnny on acoustic guitar, adds a nice touch for a moment of reflection. Great rock harmony builds the show to a head banger crescendo in "Rock and Roll Girlfriend." The troupe reunion "We're Coming Home Again" is the perfect finale. Quick costume changes, fantastic lighting, and spontaneous choreography make for a very fast joyride of intense cutting edge musical theatre. In a tribute to "The Sound of Young America," the Las Vegas group Spectrum presented Motown hits and a river of R&B melodies. Perhaps surprisingly yet delightfully, Motown is completely adaptable to the sound of a symphony. Love and romance was in the air as the Symphony Orchestra Orchestra introduced the group with an instrumental prelude of the Temptations' "Get Ready." Four incredible singers combined their glorious voices to "The Way You Do the Things You Do" which featured blissful choreography of breathless spins in glittered black and white suited splendor. The formally dressed guest conductor Matthew Kramer looked sharp and up to the task of keeping everything in synchronized harmony. A high benchmark was David Prescott's falsetto take on Smokey Robinson's doo wop "Ooo Baby, Baby." The quartet segued into a smooth as velvet acapella "Have You Seen Her" by the Chi-Lites. Rhythms synched to the Righteous Brothers and Four Tops medleys. The first half of the concert ended with the horn section's pumped up volume to the Spinners propulsively vocalized "Rubberband Man." After intermission, the SSO string section swelled the hall with the lovely "Reach Out, I'll Be There," accompanying the sharp blue and white jacketed group finger poppin' to the beat. During "Backstabbers," Cushney Roberts leaped of the stage, singing into the aisle simultaneously with dance spins twirled on stage by the group. Another musical peak was Prescott's high notes in "I'm Gonna Make You Love Me." The smooth sound of The Drifters doo wop soul floated "Up On The Roof." The audience was captured. All four singers soloed, but their harmony perfect Stylistics medley of "You Are Everything" and "You Make Me Feel Brand New" were especially exquisite. A tasteful rendition of the refined "Just My Imagination" featured the string section and a stirring guitar solo. The simple gem, "My Girl," caught the audience in song as the words and music glided through Symphony Hall as people smiled at each other. The Four Tops closer, "I Can't Help Myself," was a cream of the crop Motown sing and dance-along. The audience demanded more. The group encored with "Soul Man." BOWFIRE presents a lineup of fiddle and violin virtuosos who combine various musical styles with step dancing and voice to create a unique theatrical experience. Despite the confrontational title, “You Say Tomato, I Say Shut Up!” will not ruin anyone’s date night by causing a heated debate on the car ride home. Married couples in the audience quickly connect with the two characters on stage as either being just like themselves or their spouses, or both, but no one is asked to take sides. Comedians/writers Annabelle Gurwitch and Jeff Kahn invite the audience to eavesdrop on the occasion of their 10th anniversary, as characters based on themselves, examine debate, and relive pivotal moments and personality differences. The dialogue is actually reflective, constructive and often tender. This is not a vehement “he said-she said” rant. The situations they recount are familiar to any married or dating couple, especially those whose own love is a case of “opposites attract”. In fact, the point of the show seems to be that opposites, in reality, “compliment”. The topics are current, ranging from the foibles of Facebook, to modern child rearing methods. Using flashbacks, monologues and precise physical comedy, the authors expose many of the details that make their love “complicated”. Kevin Bartini, originally from far Western Massachusetts, is a stand up comic who really does know how to act. Not surprisingly, he has crackerjack timing and an endearing delivery. Gabrielle Mirabella has the tougher chore of making the prickly, self-absorbed Annabelle sympathetic while she plays straight man to Jeff. It may be hard to understand what Jeff sees in her, but one cannot really dislike her. They clearly enjoy performing opposite each other and there is a genuine sense of affection and respect on display. “You Say Tomato, I Say Shut Up!” is a charming, intimate evening of “heads nodding in recognition” entertainment. Rarely does a classical concert include only one movement of a symphony, but iconoclastic programmer and HSO Music Director Carolyn Kuan began the orchestra’s fifth “Masterworks” program with the “Adagietto” movement of Mahler’s Symphony No. 5, a sort of love letter to the composer's wife. Its melting lyricism in a radiant performance by the HSO strings and acting principal harp Susan Knapp Thomas proved a lovely opener for this tribute to Valentine’s Day. An energetic account of a suite from Falla’s comic love ballet "The Three-Cornered Hat" followed, featuring Spanish-flavored percussion as well as outstanding work from principal bassoon Yeh Chi Wang, and led by an especially animated Kuan. Enthusiastic applause for both pieces suggested that she should consider presenting the ballet and the symphony complete in future concerts. Orchestral selections from Bizet’s "Carmen" were conducted by Brazilian-born Alexandra Arrieche, the newest recipient of the Taki Concordia Fellowship for young women conductors that was first won by Kuan in 2003. Arrieche drew lively and dramatic playing from an expanded orchestra, with distinguished solo work by harpist Thomas again, principal flute Greig Shearer, and principal trumpet Scott McIntosh. Like Kuan, Arrieche’s stage presence was engaging and her technique clear and forceful. The program concluded after intermission with a blazing rendition by Alexander Kobrin of perhaps the most challenging piece in the repertoire, Rachmaninoff’s "Concerto No. 3." While meeting the technical demands with ease, the youthful Russian pianist probed the emotional depths of the alternately melancholy and exhilarating music just as convincingly. His rhapsodic playing and the orchestra’s nuanced virtuosity under Kuan even recalled the classic recording by the composer with Ormandy and the Philadelphia Orchestra. An encore, Rachmaninoff’s "Prelude in G-sharp minor," further highlighted the subtlety of Kobrin’s stunning artistry. The Valentine’s theme was nicely enhanced with readings before the Falla by Hartt School faculty spouses Malcolm and Johanna Morrison of love letters respectively from Mozart to his wife Costanza and from Zelda to her husband F. Scott Fitzgerald. Neil Simon, master of the one-liner, joke-a-minute comedy classics “Barefoot in the Park,” “The Odd Couple,” and countless others, has a dark side revealed in depth in “Chapter Two,” the current production of Exit 7 Players. The play does offer a carefully rationed measure of humor, but generally with a bite, as it relates the story of a grieving novelist whose adored first wife has passed on, leaving him totally devastated. Once he meets the woman destined to be wife #2, the courtship is compressed into less than two weeks with predictably unhappy and ultimately unfunny results. The Exit 7 production is cast with great care. The play is reportedly inspired by Simon’s own loss of his first wife to cancer, and his marriage to actress Marsha Mason. As novelist George Schneider, Scott Nelson does an excellent job, navigating the route of his character from depression and resistance to “matchmaking,” to exuberant, smitten suitor. His darker, even cruel behavior near the end of Act II is convincingly played. Leo, George’s caring but misguided brother, having marriage problems himself, is determined to find a mate for George. Stephen Fruchtman squeezes as much humor from this character as is possible, but also shows a serious side in his description of the relationship that existed between George and his late wife. Christine Voytko, as Faye Medwick, a dizzy friend of heroine Jenny Malone, played by Chris McKenzie-Willenbrock, is given the greatest opportunity for laughs, bringing welcome spurts of humor and lightness when most needed. Top laurels in this production go to McKenzie-Willenbrock for her brilliant portrayal of Jenny. Her performance captures every emotion from light repartee, early affection turning into deep love and concern, until finally nearly total collapse, as what once appeared to be so right shows signs of disintegration. A positive resolution by the novelist, George, saves the day and the play. A visit to “Chapter Two” is well worthwhile to see this actress alone. “Hairspray” is the story of effervescent teen Tracy Turnblad, who despite being short and stout has dreams of rising to stardom as a dancer on the Corny Collins Show. Along the way, she breaks social and racial barriers and helps to integrate the program and usher it into the modern era where everyone can dance together. The fast-paced musical adaptation of the 1988 John Waters film is unquestionably difficult. The music is catchy but hard to sing, the comedy is quick and clever, and the ensemble must deliver infectious energy to the audience. Under the skilled direction of Becky Beth Benedict, they absolutely succeed. Benedict and choreographer Alison Bogatay keep up the pace with the kind of staging that's necessary for modern musicals: constant movement, tight dance, and a minimum of mobile set pieces. Most of the transitions between scenes are seamless, with only a couple of noticeable exceptions that break the otherwise consistent flow of action. The lead cast and ensemble stand up to the challenge of keeping up the energy; in many community theatre productions the ensemble can lack focus, but every member of the “Hairspray” carries the show with pep and personality. Most notable performances include Nina Rodriguez, who despite her young age carries the role of Tracy's best friend Penny with brilliant comedic flair; and Ruben Soto, who plays Seaweed J. Stubbs with incredible charisma and a powerful voice. Michael King and Rick Fountain, Jr. are clearly the heart of the production as Tracy's parents Edna and Wilbur. They take what could easily become one-note comedic characters and give them charm, heart, and surprising romantic chemistry. Unfortunately, a lot of the show's stellar performances are overshadowed by sound issues, with mics not coming on at the right time or often being turned up too loud and causing problems with sound balance and making strong singing performances sound shrill. Despite this, the cast's energy is still infectious and the show's message simple but powerful. Due to the snowstorm, an added performance of “Hairspray” will be held Wednesday, February 20. With 1,793 performances to its credit, a stellar cast, and a plot with more twists and turns than the Merritt Turnpike, “Deathtrap” has much to recommend it for an evening’s entertainment. Written by novelist/playwright Ira Levin, “Deathtrap” is unique in its clever manipulation of characters that keep the audience guessing who the real villain is, until that climatic moment in Act II, when the answer is revealed. With comedy sprinkled generously throughout the play, the action moves swiftly through a series of meticulously crafted scenes that keep the audience on edge and the actors on their toes. Director Robert Lunde has accomplished a superb job in pacing the performance at break-neck speed, yet making certain that every plot twist and bit of humor comes through. In the role of Myra Bruhl, Sidney’s wife, Anna Marie Johansen is a delight. Supportive yet suspicious, high strung and erratic, Johansen manages to convey all of these emotions and make them appear plausible. Larry Chiz’ Attorney Porter Milgrim is excellent as a surface-friendly family lawyer who knows exactly when friendship transitions into “billing” time. Mary Fernandez-Sierrra, as Helga ten Dorp, with a scrupulously maintained accent that was to die for and an antic performance that borders on spastic, manages to steal every scene in which she appears without ever over-playing the character. She is wonderful! The setting, credited to Konrad Rogowski and Kelly Seip, is outstanding, as is the charming and comfortable Mapleton Hall Theatre. From her opening notes in the Mendelssohn Violin Concerto, 19-year-old violinist Caroline Goulding grabbed hold of both the piece and the audience, and didn’t let go, giving a lively, engaging performance that belied her youth. Not surprisingly, she displayed technical brilliance (not surprising, because why else would someone so young even be asked to solo in such piece.) What was even more rewarding though was the emotion and maturity that enveloped her playing. She not only ripped through the quick and tricky runs and high trills, but also brought deep, sonorous sounds and mood from the lower, quieter moments of the piece. Playing a Stradivarius, she used the full capabilities of the instrument to fill Symphony Hall with the beautiful strains of this violinist’s masterpiece. Her tone was remarkable, her interpretation of the Mendelssohn both strong and subtle. Goulding, dressed in a deep blue gown, created an engaging physical presence to her performance as well, leaning forward in the melodious moments, dipping and bending in the energetic passages, seemingly at one with the music and her reading of it. And the audience responded to her performance with a well-deserved standing ovation. 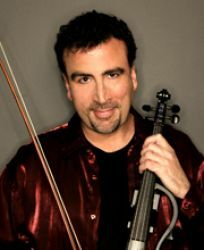 The Springfield Symphony’s program to bring young, vibrant, emerging artists to play with them is shown to be a wise strategy, allowing the artist a chance to perform with a professional orchestra, and giving Springfield audiences a chance to hear soloists destined to be international stars in the near future. The other two pieces on the program, the short Bach air to begin the night, and after intermission, Mozart's Symphony No. 41 (“Jupiter”) -- a masterwork with melodies familiar to even the casual classical fan. A strong orchestra can make even mediocre pieces sound good. A mediocre orchestra can be carried through a performance by the strength of proven masterwork. So when a wonderful orchestra such as the Springfield Symphony plays wonderful music, such as here, it’s easy to just sit back and have its beauty wash over the audience while barely noticing the skill and adeptness of the playing. It is a credit to the Orchestra (especially its marvelous string section featured throughout) and Maestro Rhoades that these classics roll out with seeming effortlessness. The pieces provided excellent bookends to a wonderful night of music. For 50 years, Ladysmith Black Mambazo has taken its message of peace, love, and harmony around the world through their unique musical fusion of traditional South African and Christian gospel music. The group crosses cultural boundaries with musical messages in an Isicathamiya (a cappella) choral style. Intricate rhythms and nature effects combined with their glorious voices to create sounds that mystified the audience. The nine-man troupe began with the chant, "I Love My Brothers and Sisters”. This beautiful music is so joyful it crossed the entire emotional spectrum, evoking enthusiasm and excitement regardless of spiritual direction. Love songs and folk songs weaved vivid imagery that transported one to another place. "Uthekwane" (The Prettiest Bird), from their latest CD "Songs from a Zulu Farm" brought forth singing in Zulu and English. Funky dancing and clowning ensued -- high Zulu leg kicks, hand claps and foot stomps enhanced the musical vision. Lead singer Joseph Shabalala led the group with his high tenor as alto and bass voices harmonized on the first song he wrote, "Nomathemba”. Passing the tradition on, his youngest son sang lead falsetto on the love song "Hello By Baby," which raised spirits high with some smooth hip-shakin' dance moves. Some pieces described their beautiful jungle homeland with bush calls, whistles, and bird sounds. The second half celebrated Mambazo's worldwide recognition from Paul Simon's landmark 1986 recording, "Graceland" with a wonderful rendition of "Diamonds on the Soles of Her Shoes." Their body language expressed lots of joy, with literal body movement light on their feet on the tips of toes. "Rain, Rain, Beautiful Rain" from 2006's "Long Walk to Freedom" was a soulful nature ballad. The Paul Simon penned "Homeless" was well received. The group is superior at expression of universal joy and sadness through music. The South African folk song, "Shosholoza" or "Down In The Mines" was sung as audience participated, clapping to the beat. Mambazo encored with the hopeful message of "Amazing Grace”.